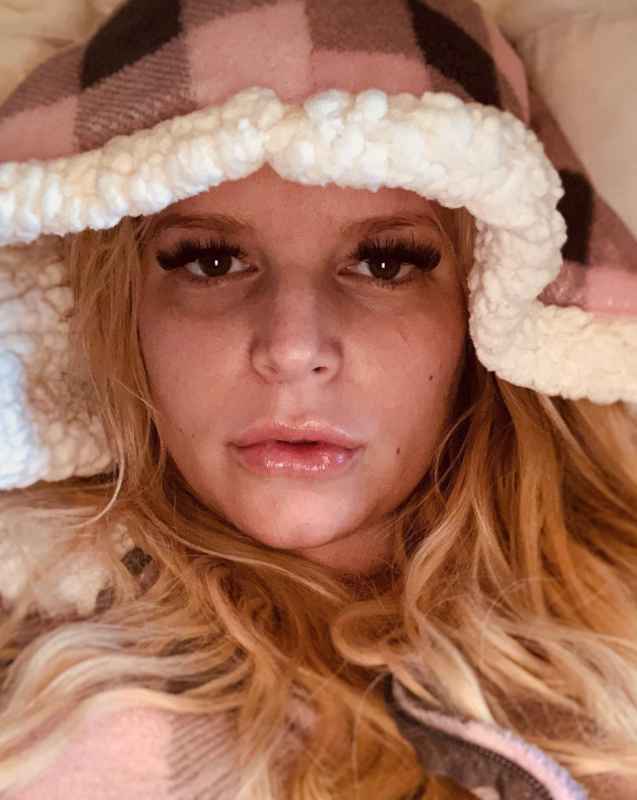 She’s endured all kinds of pesky pregnancy side-effects, but has finally come out the other other side transforming her Jess-tation into … a big and beautiful baby girl. Jess and husband Eric Johnson’s second daughter, newborn Birdie arrived safe and sound weighing almost 11 pounds. It’s no wonder Jess was really feeling the weight of this pregnancy, especially in the final month or two. If you were madly doing sums in your head or about to Google, let us save you the trouble. That’s 4.9 kilograms of baby goodness. Eric and Jess are already parents to six-year-old daughter Maxwell Drew and five-year-old Ace Knute (pronounced Ka-Noot). Fans responded to Birdie’s birth with relief, excitement and sympathy. “Congratulations to your family! Way to go @jessicasimpson you’re tough as nails! Pregnancy is no picnic,” another fan posted. Jess dealt with all manner of challenges as she navigated this pregnancy. 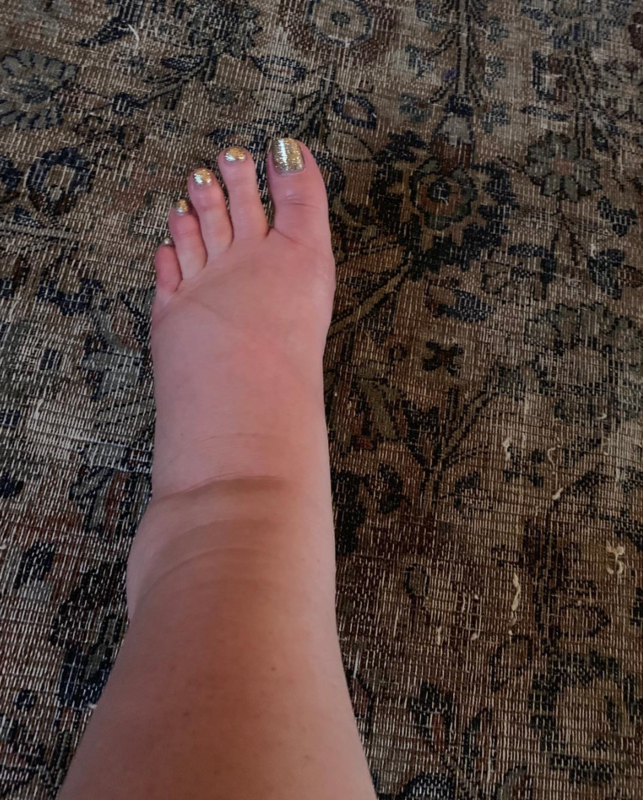 Swollen legs and feet were plaguing the mum-to-be, so she turned to Instagram for advice. Jess also came down with bronchitis in January and was suffering from painful sciatica. In February, Jess revealed that her anxiety was going through the roof. “After a month of sciatica pain, followed by 3 weeks of Bronchitis, I figured since my feet fit in my sneaks today. I needed to walk out a lot of anxiety! !” she posted on Instagram. A little later that month, insomnia hit. “Walking in the rain to fight insomnia,” she told fans. Next up in February? Pesky reflux. “Severe pregnancy acid reflux has led to the purchase of my very own sleep recliner,” she captioned an update. 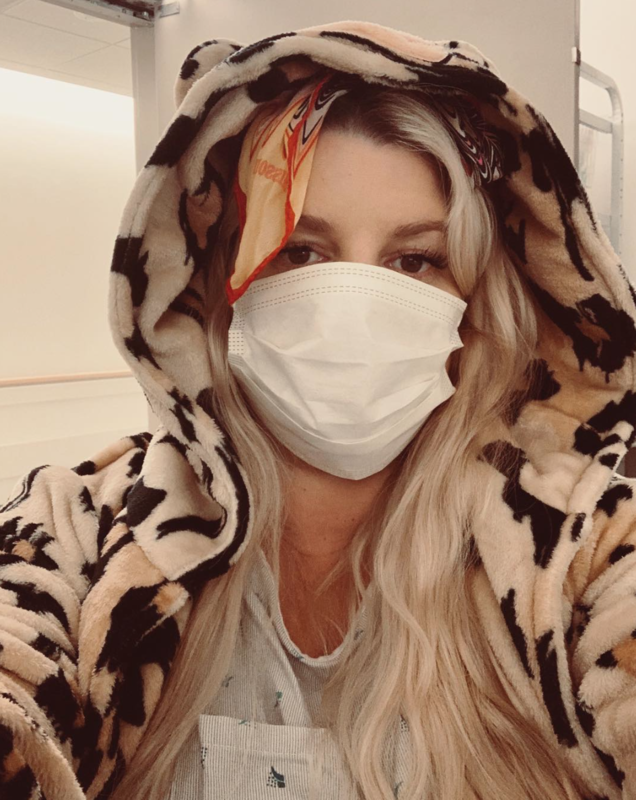 By late February/early March Jess was admitted to hospital for bronchitis. It was a beleaguered pregnancy indeed. Two days ago Jess posted a photo of herself ready to pop (above) and next thing she had, hopefully shutting the door on all those awful pregnancy complications once and for all. We don’t really know much about Birdie’s birth as yet, but here’s hoping it was not as difficult as the pregnancy. At last Jess and Eric get to focus on their newest addition and nursing Jess back to optimal health. A huge congratulations to this family on Birdie’s arrival. And a giant fist bump to Jess who endured so much to get her here.